The Nero Award is presented by the Wolfe Pack each year to an author for the best mystery written in the tradition of Rex Stout’s Nero Wolfe stories. It is presented at the Black Orchid Banquet, traditionally held on the first Saturday in December in New York City. 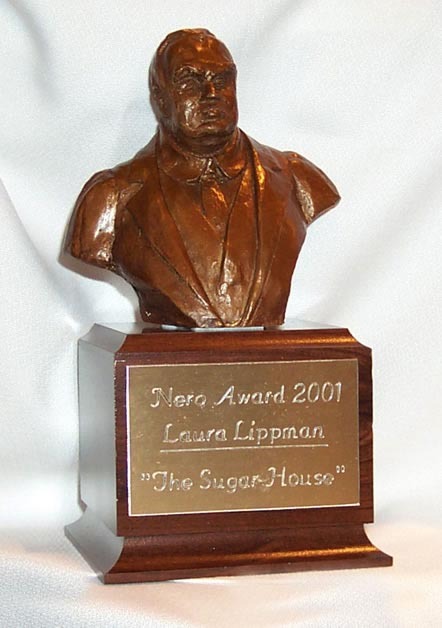 The Nero Award celebrates literary excellence in the mystery genre. The Wolfe Pack, the literary society that celebrates all things Nero Wolfe, also presents the Black Orchid Novella Award (BONA) in partnership with Alfred Hitchcock Mystery Magazine to celebrate the Novella format popularized by Rex Stout. The BONA is also announced at the Black Orchid Banquet in December.